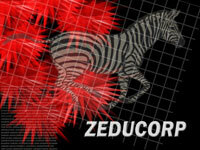 Zeducorp.us is the web design and digital arts division of Zeducorp. Our services include custom website design and development as well as graphic arts, digital photography, and content writing. Our focus is online media. We pay particular attention to user-friendly and search engine-aware website composition and structure. We can also assist clients with public relations and marketing campaigns, writing press releases, and developing reference networks with relevant information resources and directories. Our digital photography capabilities include photographing and editing high resolution images, as well as the effective use of stock photography. We use Adobe Photoshop for image editing and optimization. We use Adobe Illustrator for digital drawing and illustration applications. Based on our web design experience, we have found that certain page layouts work more effectively than others. Many of our website designs feature a header bar, perhaps with a logo, followed by a navigation bar (on smallish websites), or a left-side navigation bar (on larger websites). The large body of the webpage typically occupies the lower right quadrant of the page. 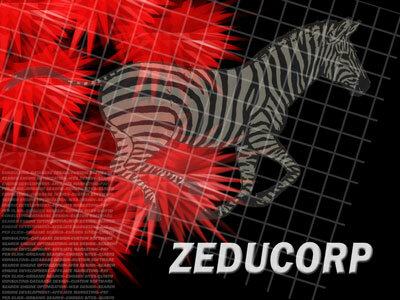 You can find samples of our web page designs by visiting the Jumblex website's Zeducorp section. We design websites using two alternative styles—fixed width or fluid width. Our fixed width web pages are usually designed to print without truncation on letter size paper, in portrait mode. Our fluid width web pages are designed to display in a minimum 780 pixel wide window without requiring a horizontal scroll bar. With a left navigation column about 180 pixels wide and a maximum image width of 300 pixels in the body of the page, this leaves about 300 pixels of width for fluid text in the page body. Based on our research, we have found that sans-serif fonts are easiest to read online; we generally use the widely-available Arial, Verdana, and Helvetica sans-serif fonts, although we have also used the venerable Franklin Gothic Medium font. The Arial 16 pixel (12 point) font size is well-proportioned and easily-read when bolded, while the smaller Arial 13 pixel (10 point) font size is more readable in its normal weight. In recent years, as mobile devices have proliferated, the use of responsive design (with larger font sizes for smaller screen sizes) has become imperative. Arial fonts are used on our regional United States Directory, which provides quick and easy access to a broad spectrum of goods and services providers. We hope that this directory will contribute, in some small way, to helping U.S. businesses survive and grow in this difficult economy. For search engine readability and page downloading efficiency, we prefer to display text as text rather than as graphic images. Of course company logos and website logos are exempt from this guideline, because they often include text in their logo images. Please contact us for more information about how we can provide your company or organization with an online brochure or even a simple online business card.